Are you a bank, broker-dealer, investment adviser, transfer agent, fund, or trust company? Are you entering the cryptocurrency space, perhaps launching an Initial Coin Offering (ICO) or venturing into blockchain technology? Get in touch with us today to learn more about how we can tailor solutions that will help you manage the uncertainties of doing business in an ever-changing regulatory landscape. 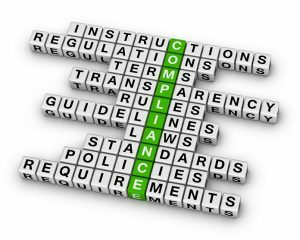 VMS has partnered with Sustainable Compliance Strategies, LLC ™ to offer individualized strategies to help your financial services company achieve and maintain regulatory safety and soundness. Our core belief: sustainable compliance programs must be strategic, holistically tied to defined business objectives. Band-aid approaches do not work. We can enhance your governance, compliance, and risk management framework, and remediate any deficiencies in a sustainable manner that minimizes regulatory and reputation risk. Our goal is to help you avoid the crisis, instead of managing it after it happens (although we can assist if you’re already in crisis mode, too). We welcome the opportunity to consult with you and provide individualized strategies to keep YOUR financial services company safe and sound! Learn more about our areas of expertise below. Our proven strategies will remediate any deficiencies in a sustainable manner that will minimize your regulatory and reputation risk. ​We specialize in helping you correct findings noted by your regulatory examiners, before they lead to enforcement action. We can give you the Keys to Sustainable Risk Management ©. ​Let us help you implement the tools you need to manage YOUR risks. Do you have a culture of ethics and compliance? Is it strategic and sustainable? ​To have credibility top down and bottom up, your compliance culture has to be real. It cannot merely be lip service. We can enhance your governance framework, leveraging our skills in relationship building and effectively achieving consensus, and transform your entire organization into a genuine culture of ethics and compliance. Contact Robert Moreiro (904) 460-4200 [email protected] for more information or to book a free initial session to discuss your needs.